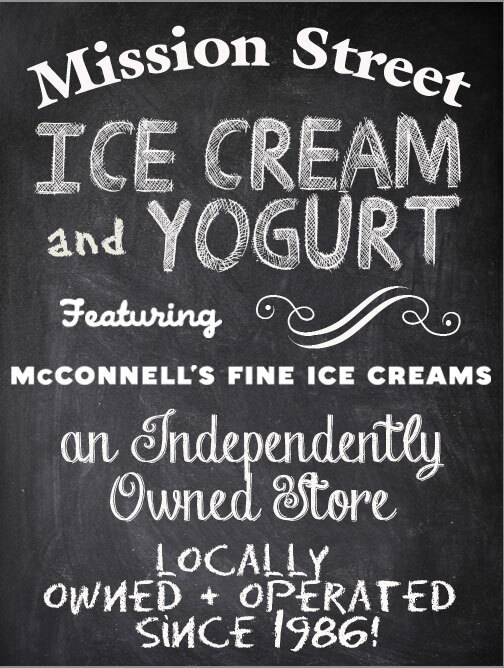 Mission Street Ice Cream & Yogurt, formerly known as McConnell's on Mission, proudly features world famous McConnell's Ice Creams. Our store is independently owned and operated by Santa Barbarans Bob and Jean Moss, and if you come in to the shop, you are likely to meet us there. 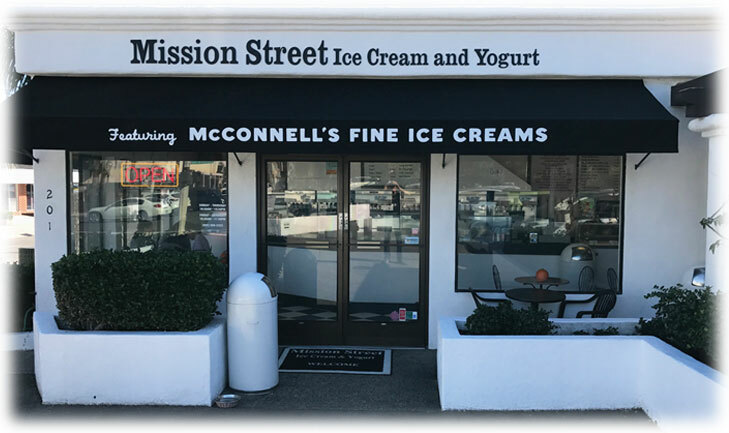 We believe in treating people with care and respect and that is the reason you will see the friendly, familiar faces of Mission Street's long time employees and loyal customers, year after year. Oh yes, and there is that amazing ice cream & the delicious fresh frozen yogurt!